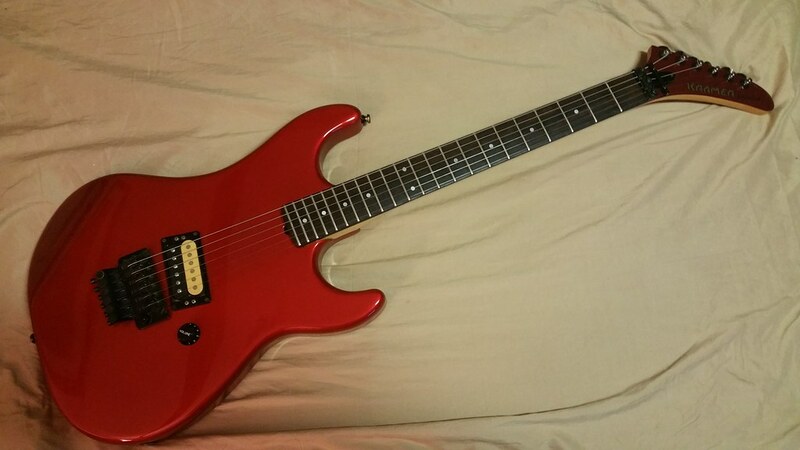 I've owned this one for a long time... Wasn't played much, in fact the body is super clean. But this suffered the scarf joint failure. I fixed the neck twice. And it failed again. So the neck you see here is off a Pacer, that I refinished the headstock. Same spec, thin R5. The meathead that owned it before me tried to hack the neck pocket and neck heel to fix the slip scarf joint (!) and in the process chipped the delicate finish by the neck pocket. I had repaired that as invisibly as possible. A couple faint scratches on the back, the front is as mint as you'll find. Currently restoring the original neck. marsmountain wrote: She's a beauty. Thanks much! I remember Lynch playing the same one in video... can't remember which one however.